The perfect simple ring can be so difficult to find. That’s why we’re teaching you how to make your own. 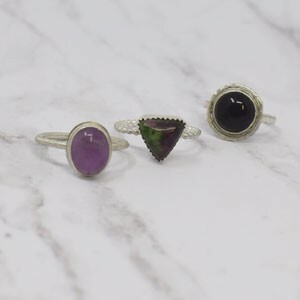 This class is great for beginners and will give you a taste of soldering while being able to make your own wonderful simple soldered rings. You can make up to three rings in the class. Supplies are included, we will be using sterling silver, semi-precious stones, and cubic zirconia.